A lot of people will argue that kids, particularly young children, shouldn't have phones. While smartphones will surely keep kids entertained with games, music, and videos for hours at a time, many believe that too much screen-time is bad. What's a parent to do if they want to connect with their children but don't want to give them a full-on phone? Enter Relay. 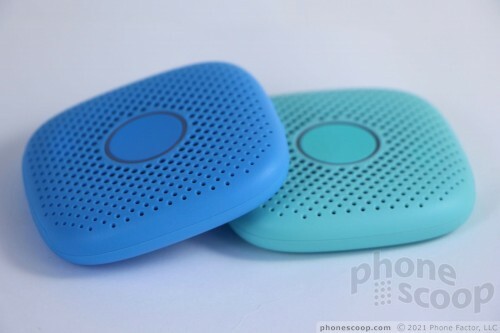 Developed by the folks at Republic Wireless, Relay is a small, puck-shaped walkie-talkie that lets kids communicate with parents or family members with a single push of a button. 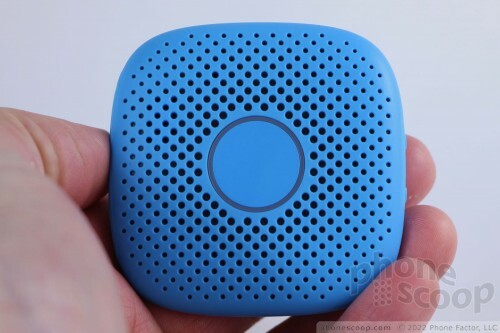 Moreover, it offers simple location tracking so parents can have some peace of mind. My 11-year-old fell in love with the Relay instantly. 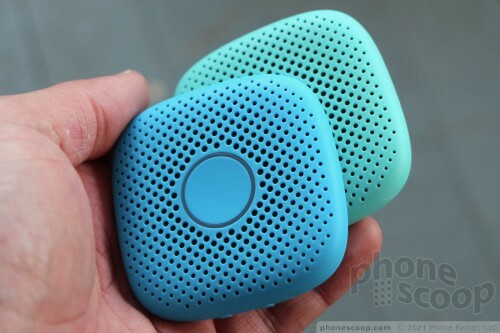 It's kind of cute, with five fun colors and a smooth shape that resembles a river rock. Your kids can choose black, blue, mint, gray, or brick red. 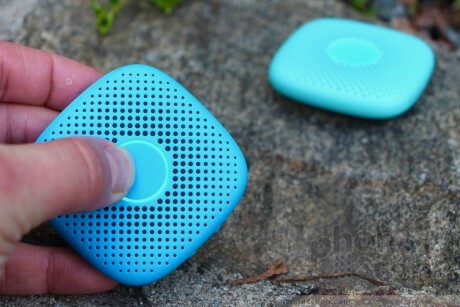 The squarish puck measures 2.7 inches across and about 0.6 inches thick. It hardly weighs anything at 0.15 pounds. It's well-designed for kids' small hands. 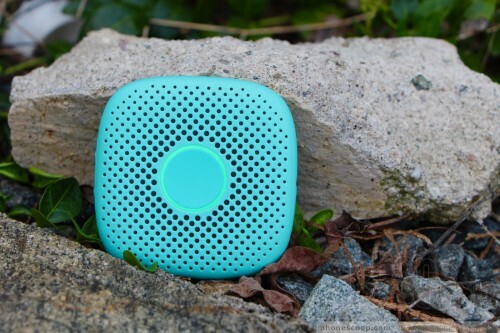 The Relay is semi-rugged and water resistant, as all kid-focused things should be. 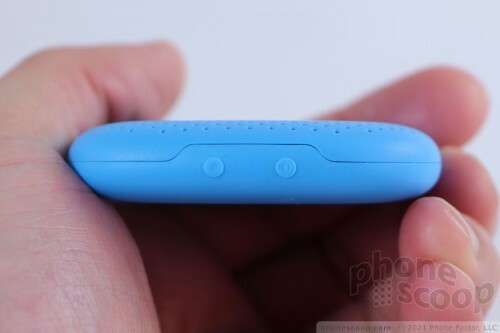 The hardened plastic shell has a soft-touch feel to it that makes it stick in your hand. I played catch with it in the backyard and it handled the abuse with no problem. You can drop it without worry. The device is made from two halves that are fitted together tightly. The seam around the middle is perfectly even. The controls are simple to operate. A single button adorns the top. Your thumb can't miss it. Press and hold to make contact with other, linked Relays, and/or a parent's smartphone. An illuminated ring surrounds the button, providing a visual indicator of the Relay's mode. The action on the button is very good. It's surrounded by a grille for the speaker. On one of the side edges you'll find two more buttons. One is the power / channel button and the other changes the volume. A long press of the power key turns the Relay on, and single presses cycle through the channels. 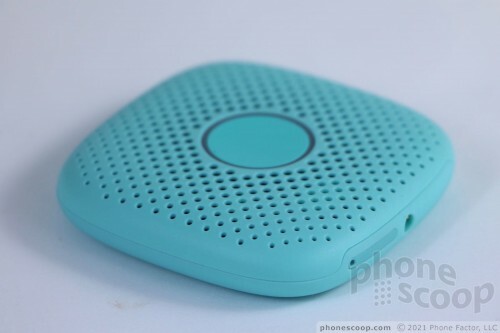 The single volume button cycles through several volume levels before repeating. The buttons are kind of small, though it's easy enough to find them by feel. 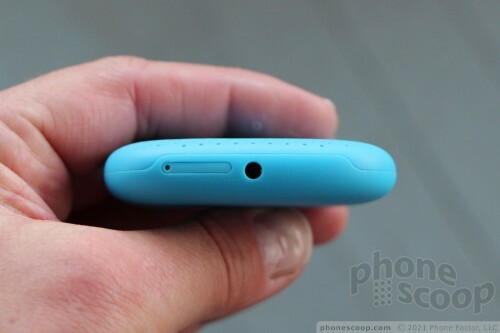 A SIM card tray and 3.5mm headphone jack are on the opposite side edge. The Relay charges via copper contacts on the bottom. 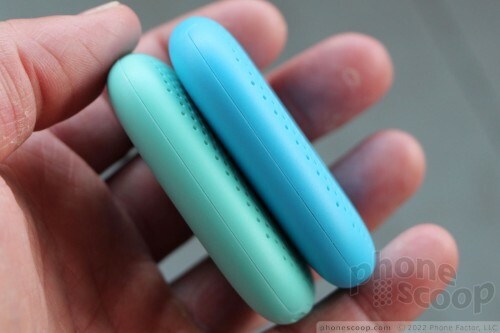 The included charger attaches to the contacts magnetically. The bond is a little weak; it's too easy to accidentally disconnect the Relay from its charger. The Relay is a fine little thing. My kids actually used it to talk to me (they never make real voice calls), so that's something. The free companion app is well-designed and easy to use. It's available on both Android and iOS devices, and allows you to setup and manage the Relay. With the app, you can see when the Relay is on, what its battery status is, where it's located, what its cell coverage is, and whether or not it's connected to WiFi. You can interact with all of these data points, such as controlling WiFi access, and viewing the Relay's location on a map. The app acts as a Relay for parents. Press the software button and you can talk through your kid's Relay, from your phone. Here's the trick: the app has to be open and running to receive Relay messages. If it's not on, your kid will hear a "sad sound" that tells them the message didn't go through. They'll then have to long press the volume button to send a push alert to your phone, essentially telling you to open the darned app. This is not user friendly. I like that the app can handle multiple Relays at once. I also like that the location-sharing is presented as a history, showing where the Relay has been, not just where it is. 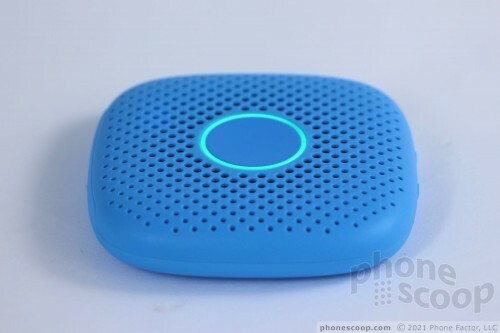 Republic Wireless sells the Relay as a stand-alone service, apart from its normal phone service. That means you (the parent) does not need to have Republic Wireless service to use Relay. 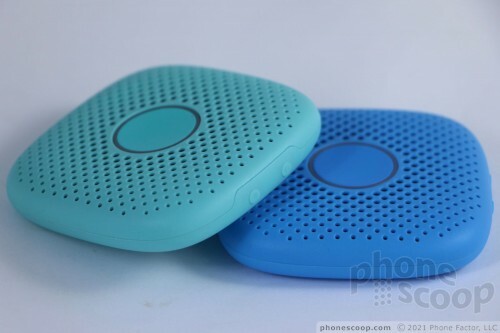 If you buy just one Relay, the Relay will only talk to the parent's phone via the app. That's it, no one else. If you buy two or more Relays, you'll need to create a "channel" between them so they can talk to one another. Those tools are in the mobile app. The Relay is dead simple to operate and confusing at the same time. Press the button for a second and the Relay lights up and turns on the mic. This action effectively pings any other Relays you may have, which also light up and beep to warn the receiver they're about to get a call. Say what you want to say and then let go of the button. The voice clip is then sent to the parent phone and/or any other Relay's on the account, where it plays out loud. Alternately, you can hold down the button and keep talking. There's no way to stop an incoming call. If your kid wants to talk to you and the app is open on your phone, then by golly you're going to hear their voice. The Relay that's receiving the call cannot do anything else but listen to the incoming call. Once the caller lets go of the button, the other person can respond. It's just like a regular walkie-talkie. If the parent app is not running, the child using the Relay will need to ping their parent's notifications by long-pressing the volume button. This essentially tells the parent that their child is trying to contact them, so they should open the app. Clarity is all over the place. At the highest volume, the speaker delivers scratchy, distorted voices that are sometimes muffled so badly you can't make out the words. That's not good for a device that's supposed to facilitate communication between parents and their kids. The lowest volume setting is so low that you can barely hear the Relay at all, even in a quiet space. Clarity is improved a lot at the lower volumes, but that's not saying much. Quality is improved if you choose to connect headphones. This has the added benefit of privacy. I found that if you hold the Relay about 18 inches from your face and speak in an "indoor" voice, calls are a bit clearer. Unfortunately, the Relay's design invites you to hold it to your mouth when speaking, which is exactly the way my kids used it. Also, kids often speak loudly. In other words, it works best when used in the exact opposite way that your kids will probably use it. That means that, all too often, parents hear garbage on their end. Because the Relay runs on a cellular network, it will function most anywhere there's Sprint signal. That means your kid can take their Relay to summer camp and still reach you at home. There is no screen, so there's no way to know when the Relay has lost its connection to the network other than check via the parent app. I saw the Relay report fair, good, and strong network conditions as I traveled with it. According to the app, the Relay never lost its connection with Sprint. You can also connect the Relay to your home WiFi. There needs to be a dedicated alert that sounds immediately if the Relay drops the network so kids and parents both know the Relays are no longer connected. I think this is vital, for safety reasons. 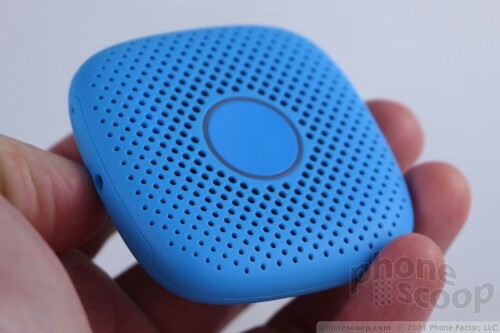 When Republic first showed me the Relay earlier this year, they talked up the little device's ability to play music, access Google Assistant, and more. None of these features are available right now. There is one other channel of operation available to the Relay and that is a game. In order to switch channels, you have to press the power button for about 1 second, wait a second, and then press it again. The Relay will then announce that it is in the "echo channel." When in this channel, your kid speaks into the Relay and it repeats their words with silly effects. Republic says the other features will be added over time. The Relay technically includes Bluetooth and NFC, but they don't do anything yet; it's strictly for future functionality. Republic Wireless doesn't say how large the battery is, but I can say that it isn't large enough. The company promises "long battery life" and sadly that's just not the case. The Relay barely lasted a day. I was expecting at least twice that. For a phone that doesn't have a screen, it sure goes through juice quickly. 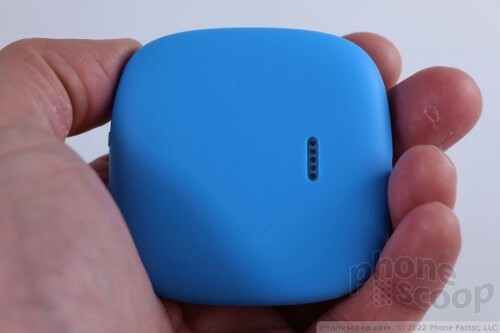 Turning off the GPS tracker helps preserve the battery at the expense of losing access to your kid's location, one of the primary functions of the device! Republic Wireless sells the Relay for $99, or two for $149, three for $199. The service costs $7 per month per Relay. These are reasonable expenses. I like the idea of the Relay very much: a basic, screen-free way for parents to talk to their kids and track their location. It does these things, if imperfectly. My biggest gripe is the inconsistent call quality. The speaker just isn't good enough. It punishes your ears with garbled growls that are hard to hear and understand. I definitely want to see better battery life, too. A single day is just not good enough, particularly since kids are often forgetful and may not remember to charge it. Also, the back-and-forth of communicating takes practice, especially for the parent. Remember to leave the app running, or at least be prepared to receive alert-y push notifications. Relay needs to get the extra modes — music, games, Google Assistant — pushed out to the Relay as quickly as possible. The device will be much more interesting when it can do just a little bit more. Would I recommend the Relay to parents I know? Yes, but with reservations. The Relay is all younger kids (6-8) need.